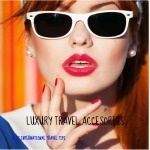 There are many fabulous choices when it comes to luxury luggage. 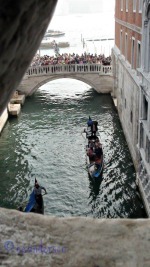 Are you going on a luxury vacation or maybe just want your next trip to feel luxe? I love to go on trips that make me feel like the rich and famous, once in a while. Maybe that's the way you always travel, lucky you! How do you choose your luxury luggage? With so many beautiful brands it can be overwhelming. When your spending that kind of money you want your choices to reflect your personal style, be fun and give you pleasure when you use it. Will this be for a very special trip? Do you buy lots of luxury luggage for fun and fashion? Are you looking to pick a fabulous luggage set to use for many years to come? Maybe you are just bored with the same old stuff. How much luxury are you willing to pay? There are some brands out there like Channel vintage for instance that can run in the thousands of dollars for one piece if you want to stand out. There are many recognizable, very high-quality brands that are well made. Have a smart look and are a bit more in the affordable luxe range. Then the ones labeled with a famous designers name. You probably know about the Louis Vuitton line, but there are lots of other luxury luggage lines, that I would like to review for you. Luxury and style speak Versace. 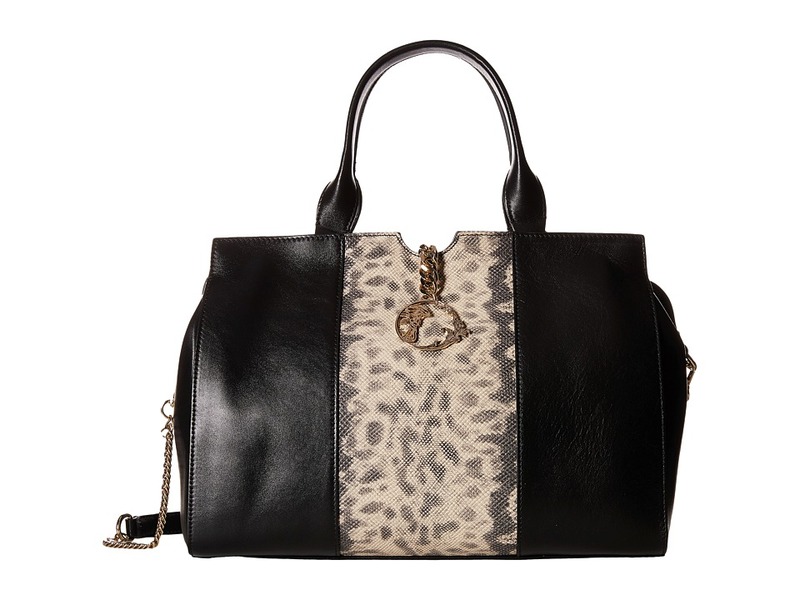 Imagine carrying this gorgeous animal print satchel handbag. The Topas line has been continuously developing and improving since the 50's. The Topas 26" multi-wheel main compartment has mesh dividers on both sides. Flex divider to avoid shifting and wrinkling. Opens like a book for easy packing. Eight ball bearings in wheels. If you are looking for a beautiful leather bag Bugatti has some lovely choices. This Bugatti leather duffle bag comes highly recommended. This brand originally designed so that it would fit perfectly in the trunk of the Ferrari. Well known for its high quality. It is sturdy and well made, enough inside pockets and guaranteed for life. 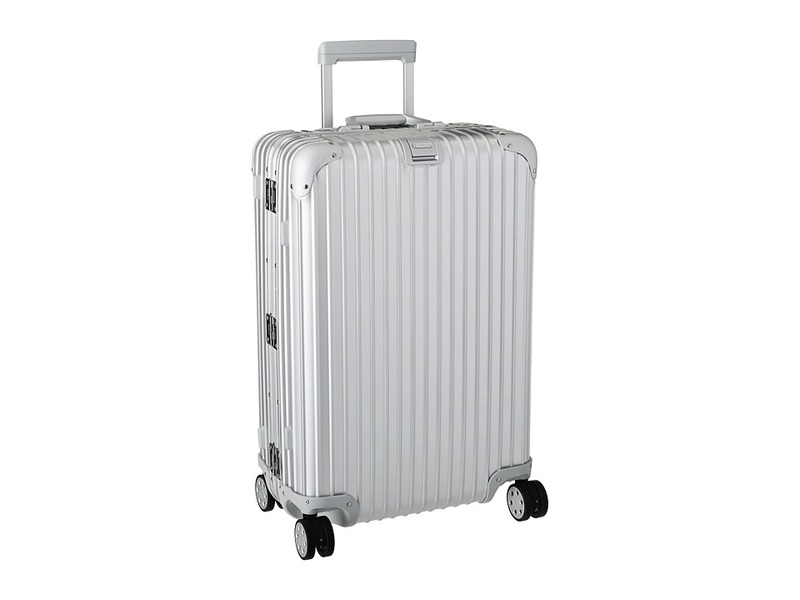 Tumi is another superior brand, and a recent offering is their new Vapor Lite style. Sleek and modern looking. Pictured here is the continental carry-on. Classic luxury appointments and now lighter weight. This case has a suite section, toiletry pouch, travel cover. Designer labels don't guarantee that they are necessarily the best quality. "You get what you pay for." Read the reviews and the description and the guarantee to make sure that it is what you're after. If you like luxury but like to collect a luggage wardrobe designer labels might be your ticket. Also, you don't have to pay full price for designer luggage; they do go on sale more often than the top luxury luggage manufacturers.